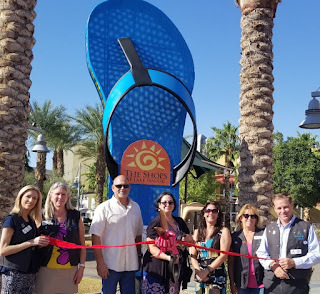 The Lake Havasu Area Chamber Ambassadors held a ribbon cutting ceremony at The Shops at Lake Havasu for the unveiling and name announcement of the “Big Blue” Flip Flop. The Shops at Lake Havasu is anchored by Dillard’s, JCPenney, Star Cinema and Wal-Mart in addition to 20 specialty shops. See’s Candy opened November 2nd for the holiday season. 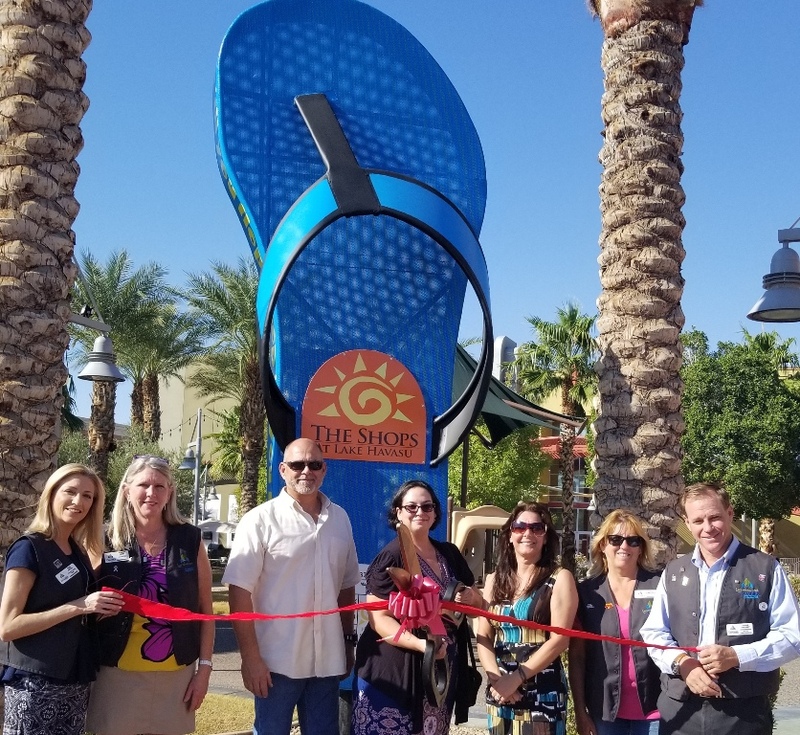 Attending the ceremony from left to right were Tami Auten, Audrey Hoyt, Mark Sinek, Angelica Rose (winner of the naming competition), Michelle Misurelli – Senior Property Manager for The Shops, Janina Robertson and Shane Delaney.